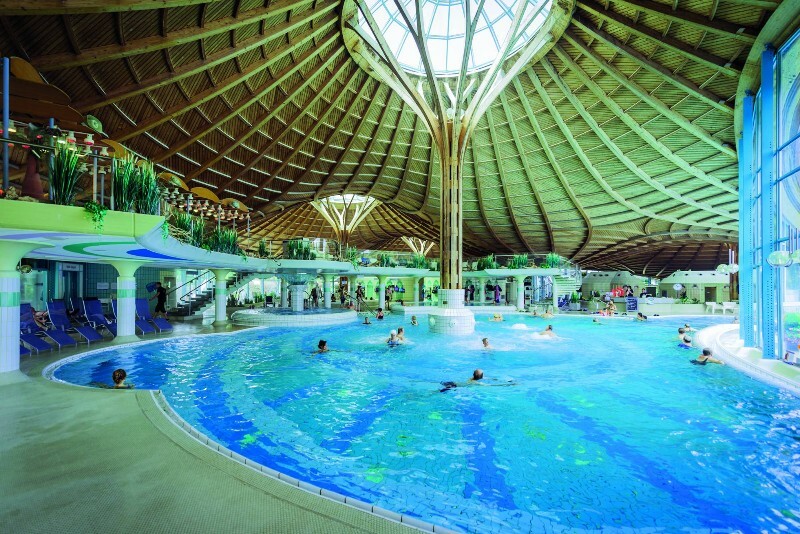 Free entry to the Solemar spa, 3 hours daily. 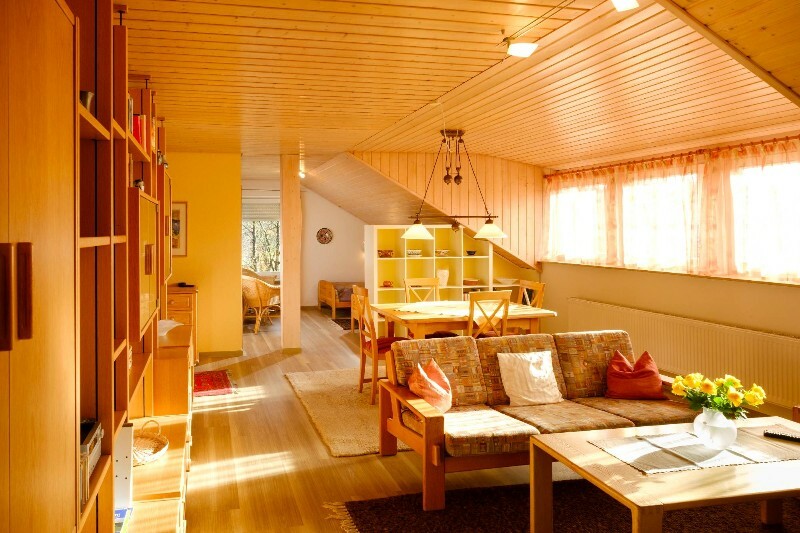 Haus Ahorn offers two comfortable holiday apartments to non-smokers. 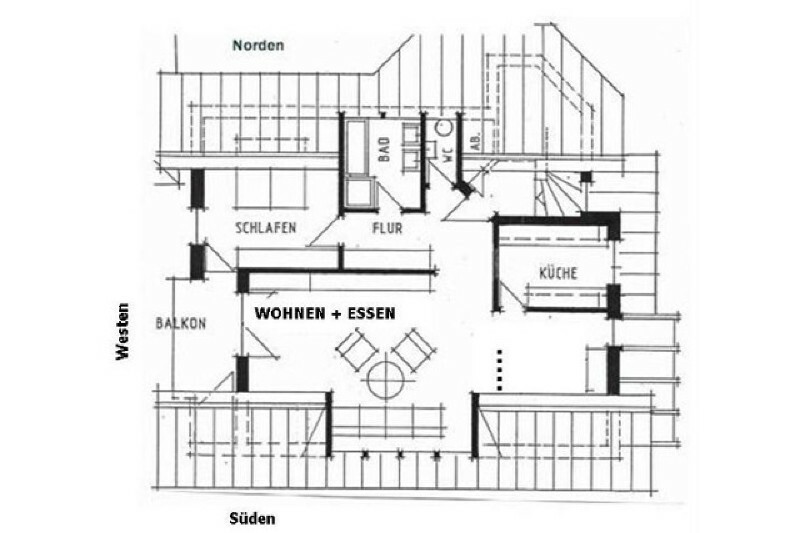 Included are car port, pool and sauna. 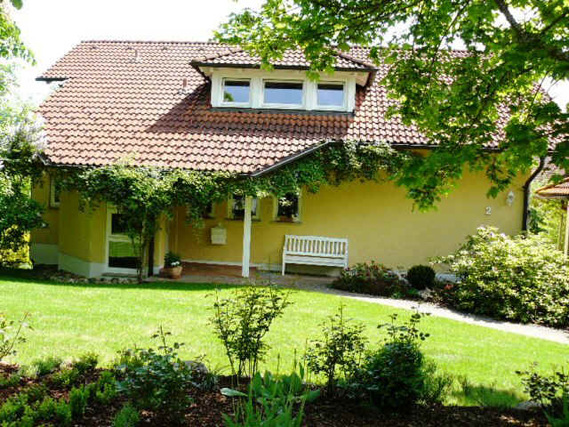 Haus Ahorn is located near the town centre of Bad DÃ¼rrheim, which is known for its beautiful landscape, its healthy environment, its spa bath Solemar, its expansive spa gardens and for many opportunities for short trips into nearby Black Forrest and Lake Constance (Bodensee). 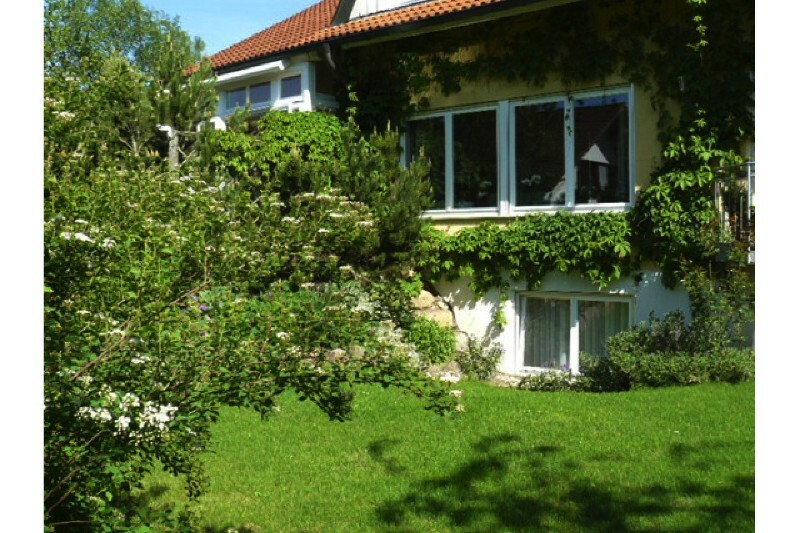 Take a video tour of Haus Ahorn. 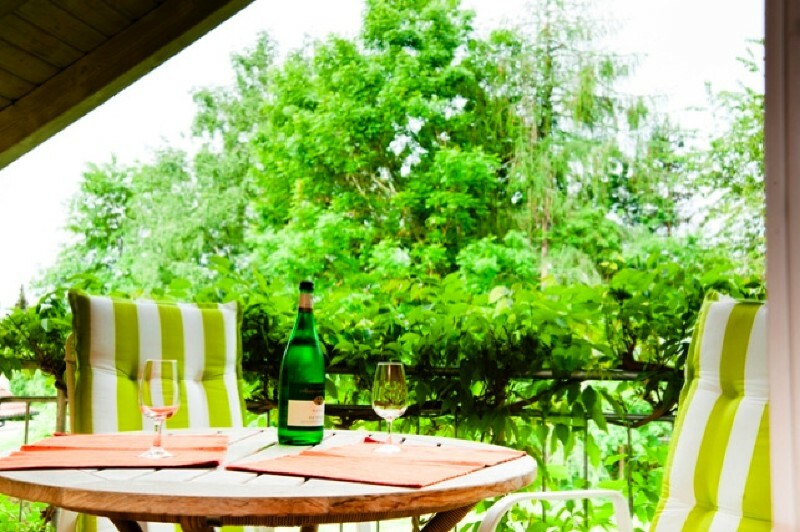 Haus Ahorn sits on a large plot surrounded by luscious greenery on the edge of the spa gardens. Solemar spa and town centre are a short eight-minute foot walk away. Electric bicycles are free for one day when you book 10 nights or more. Located on the top floor, under the roof, is our 2-bedroom apartment (75 sqm), ideal for 2-4 persons. It features a large balcony looking west. Located on the lower floor is our 1-bedroom apartment (45 sqm), ideal for 1-2 persons. It features a terrace (10 sqm) facing east and a second terrace in the garden. 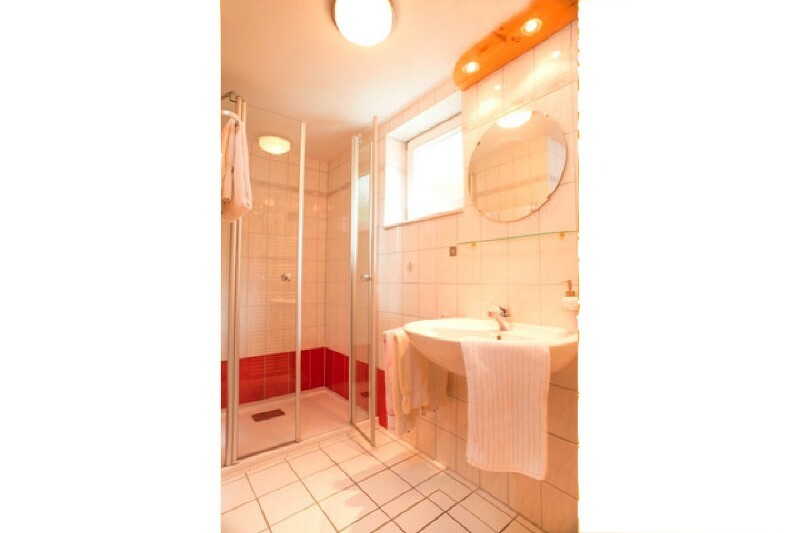 Both apartments can be hired from 7 days onward. 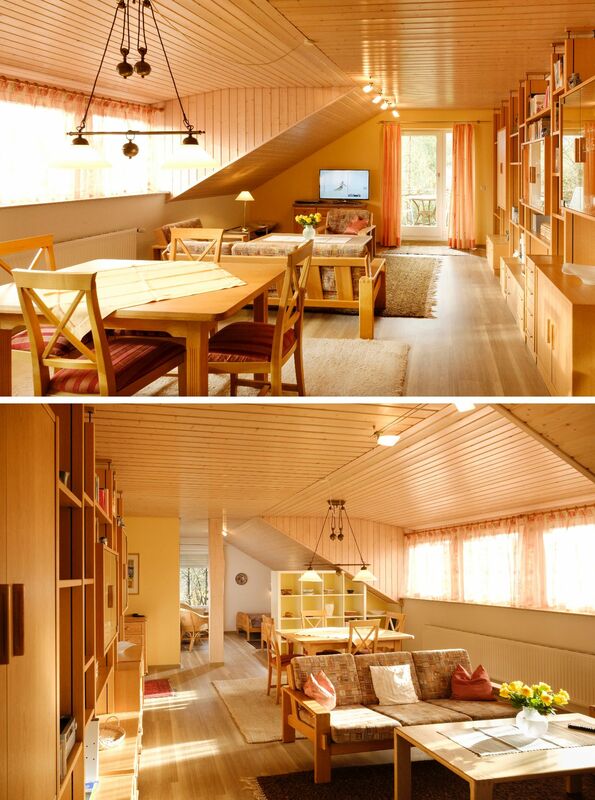 On the top floor, under the roof, is our 2-bedroom apartment (75 sqm), ideal for 2-4 persons. It features a large balcony looking west. The ceiling of the entire apartment is clad in wood and the floor consists of laminate in hallway, living room and bedroom. 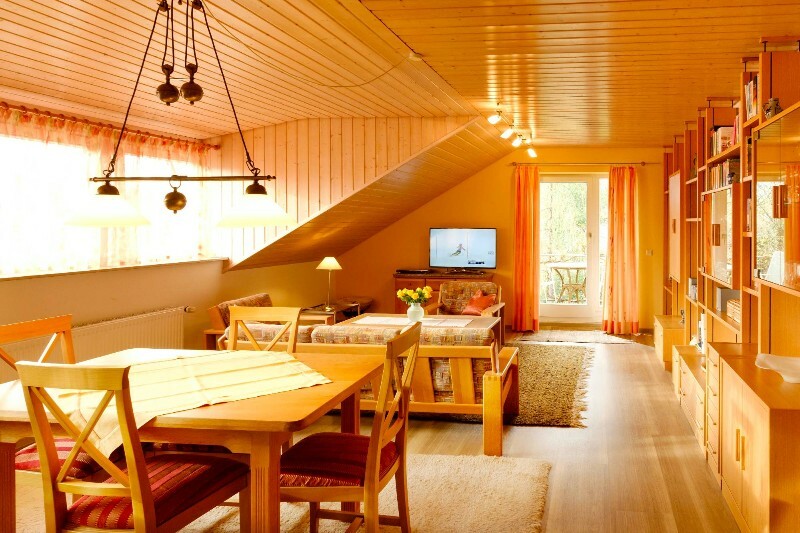 The apartment is equipped with telephone, cable television, flat screen TV, stereo amplifier, DVD player and CD radio. 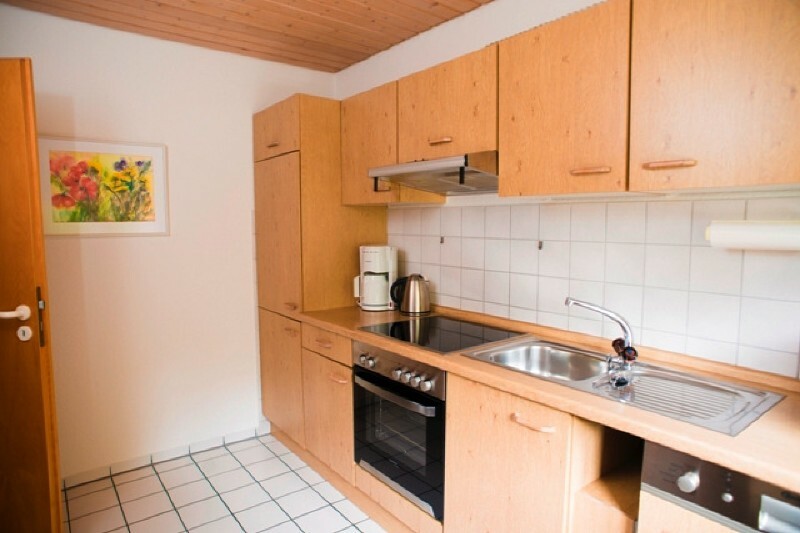 The kitchen is equipped with a dishwasher, a coffee machine, a Nespresso machine and a microwave. Lastly, the apartment has one parking spot in the car port. The apartment is equipped with cable television, flat screen TV, stereo amplifier and DVD player. 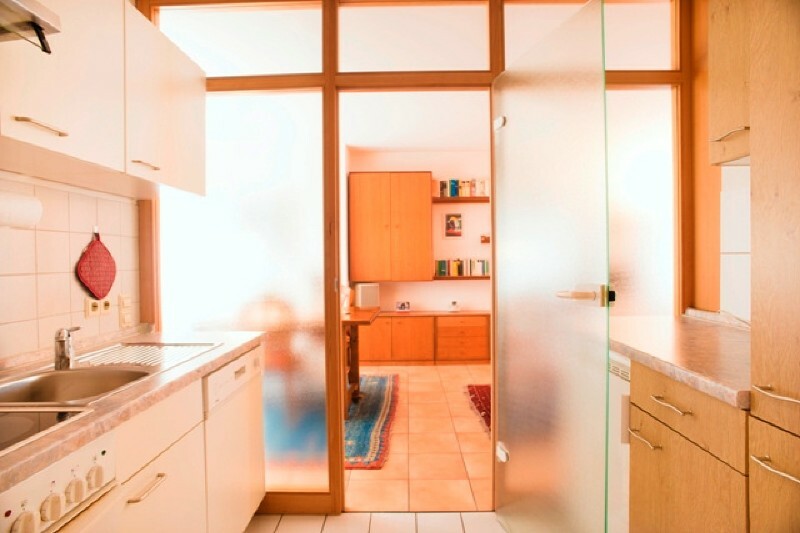 The kitchen is equipped with a dishwasher, a coffee machine and a Nespresso machine. Lastly, the apartment has one parking spot in the entrance way. 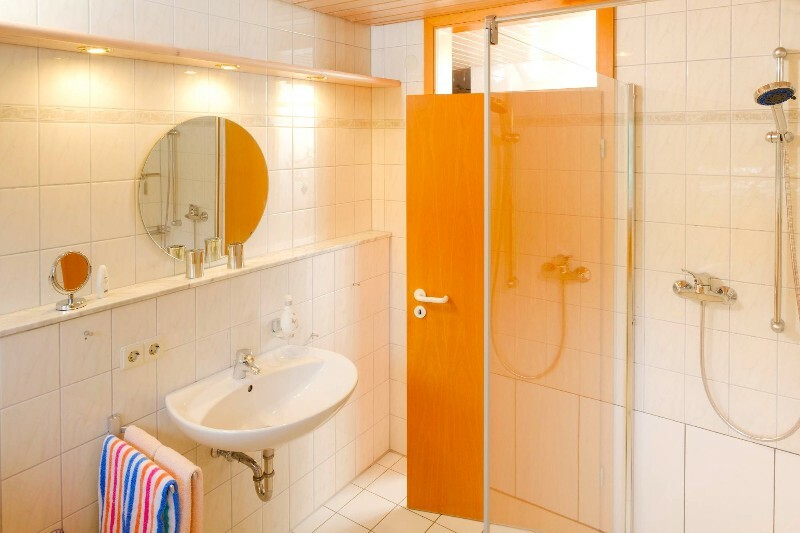 Haus Ahorn features a small pool with jet stream and a sauna â€“ both exclusively for our guests and both included in the price. One space in our carport is reserved for the 2-bedroom apartment. 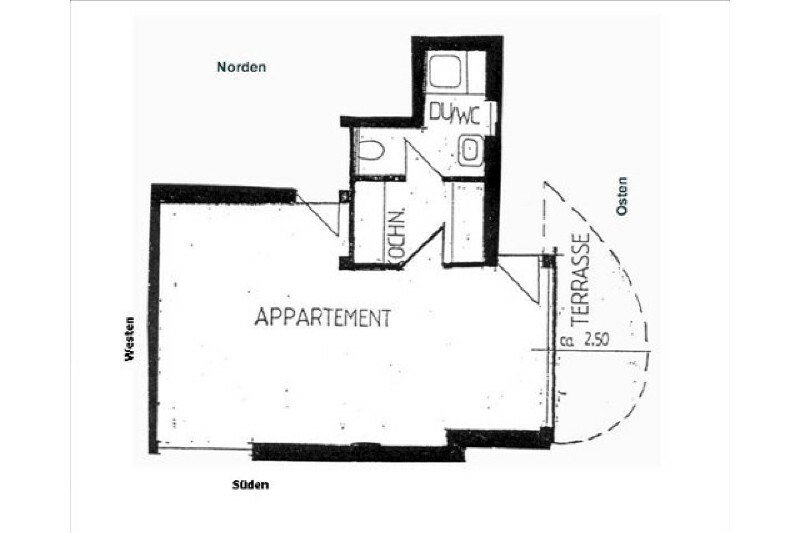 The 1-bedroom apartment has a parking space in the entrance way. Bad DÃ¼rrheim and its surroundings are well suited for bicycle rides. Both the plains and the hills feature several bicycle paths. Every year in September, Bad DÃ¼rrheim hosts the â€œRidermanâ€� bicycle race with more than 1000 participants. 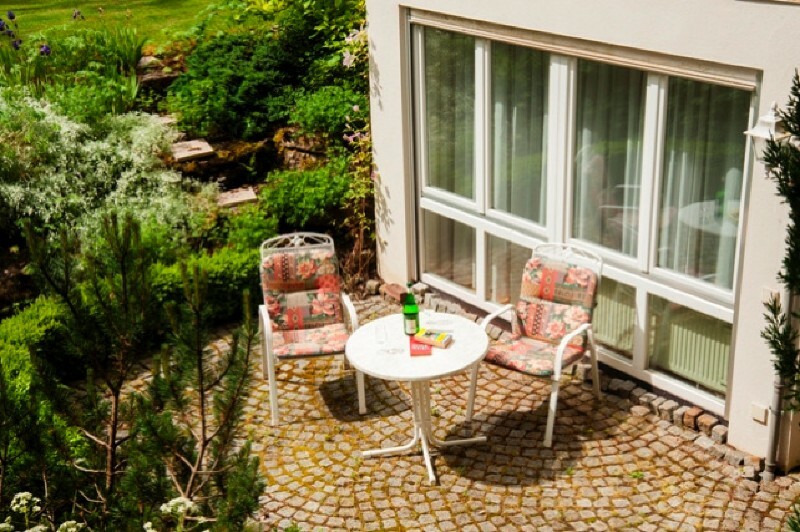 During your stay at Haus Ahorn, you have access to two â€œconventionalâ€� bicycles, free of charge. 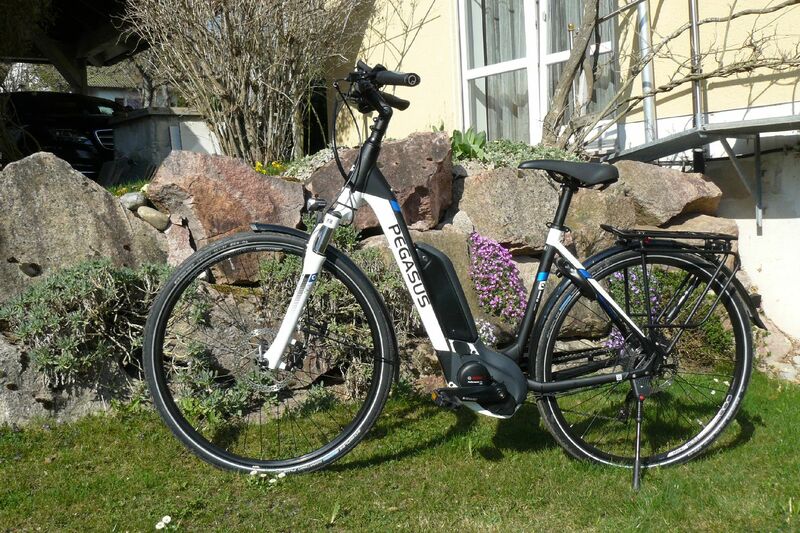 In addition, in 2017, we have acquired two strong and modern electric bicycles, which you can hire for one or several days (see the two photos). 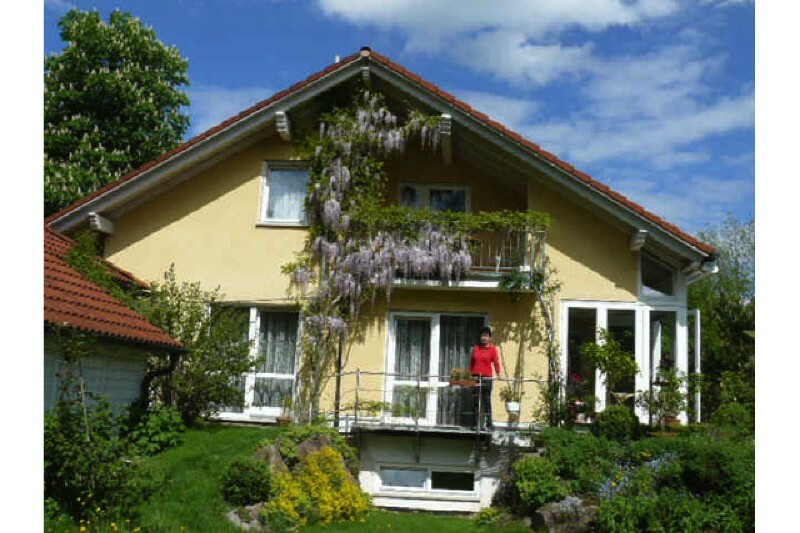 These cycles allow you to effortless explore the hills around Bad DÃ¼rrheim. Guests who have booked at least 10 days at Haus Ahorn can use the two bikes for free for one day during their stay. 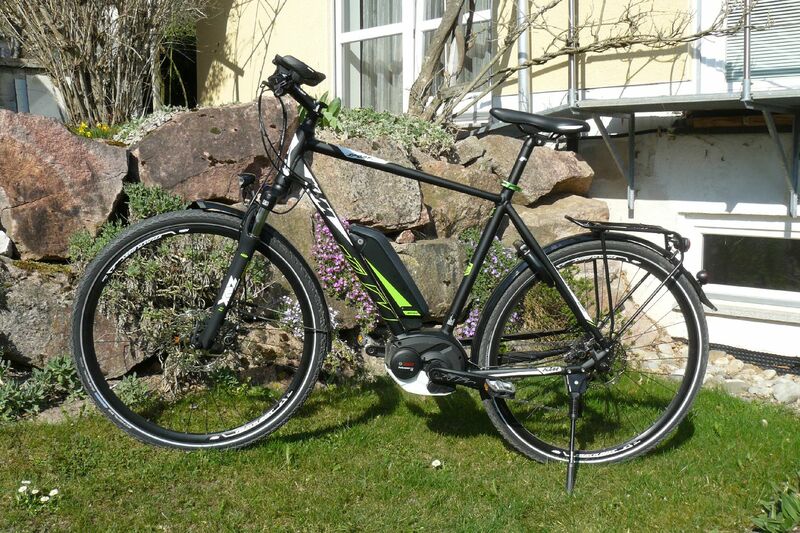 The E-Bikes can be hired for 20 â‚¬ per day each, 50 â‚¬ for three days of 110 â‚¬ for seven days. Beautiful nature, historic places, impressive view points and cozy restaurants around Bad DÃ¼rrheim are waiting to be discovered. In and around Bad DÃ¼rrheim, take out your walking sticks and treat yourself to a healthy discovery of the Black Forest and its beautiful landscape. 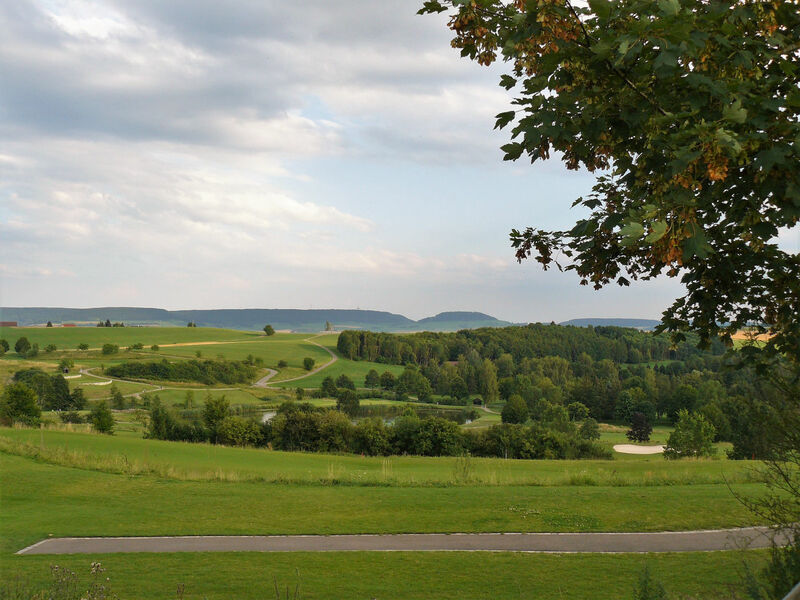 Several golf courses are located at the Ã–schberghof, a 8-km drive from Bad DÃ¼rrheim. The resort features two 18-hole courses and one 9-hole course. 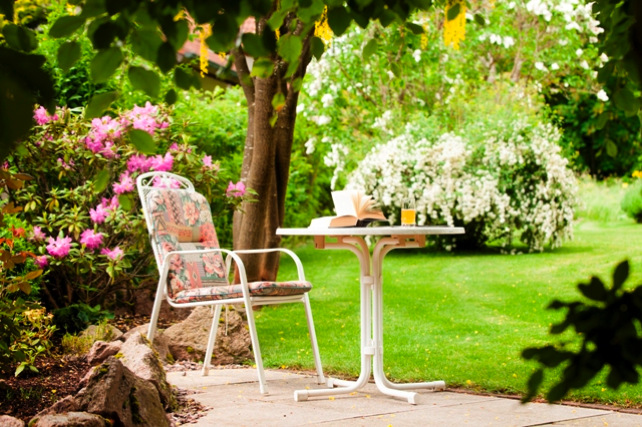 Here, you can live out your passion without time constraint. 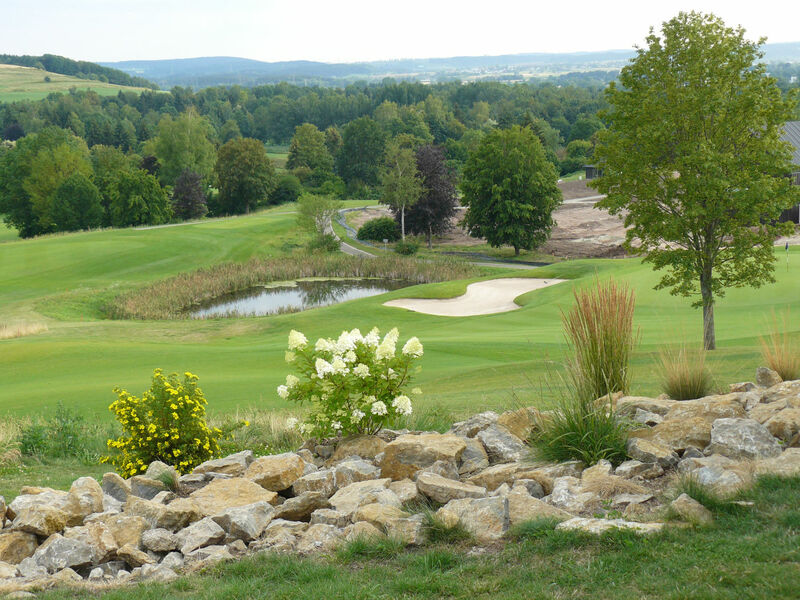 Further information about golfing near Bad DÃ¼rrheim can be found at Ã–schberghof's website. When booking any apartment for a single person, we offer a discount of 2 â‚¬ per day. Free entrance to the Solemar spa for 3 hours daily. 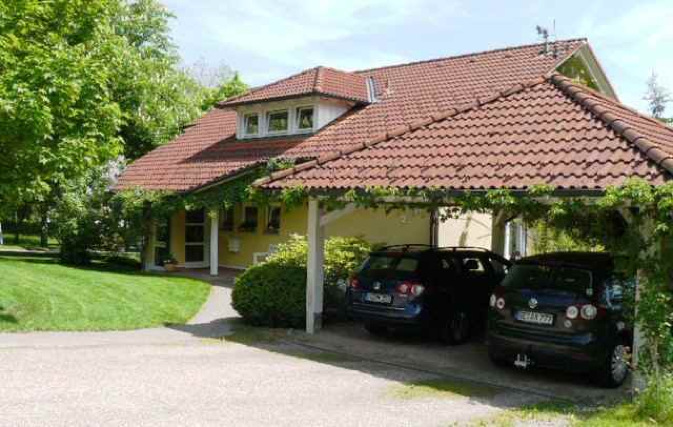 Car parking, the use of two touring bicycles, internet via Wi-Fi, pool, sauna and all utilities (bed sheets, towels, final cleaning). Adults 2.50 â‚¬ per day, children of 12 years and above 1.10 â‚¬ per day. Phone us or write us an e-mail. To do so, click on the e-mail address or on one of our phone numbers. Bad DÃ¼rrheim is located in the deep south-west of Germany. Switzerland is only 35 km away, a drive to Lake Constance (Bodensee) is 60 km and a visit to Freiburg is 75 km. Bad DÃ¼rrheim can be easily reached by train. 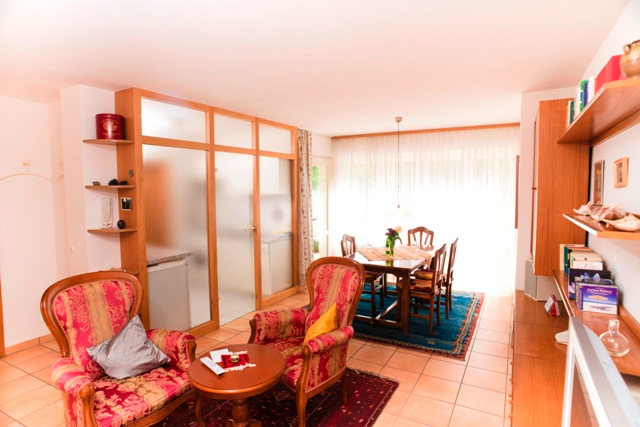 The nearest train stations are Villingen, Schwenningen and Donaueschingen, which are all about 7 km from Haus Ahorn. The closest international airports are ZÃ¼rich (90 km) and Stuttgart (110 km). Additional airports are Strasbourg (110 km) and Baden Airpark Ryanair (130 km). 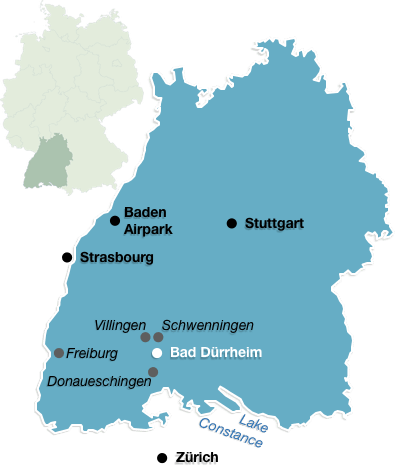 From there you can hire a car or take the train to Bad DÃ¼rrheim.